Property 6: Albrightsville Cabin w/Hot Tub - 10 Min to Slopes! Property 7: Secluded Mtn Cabin w/Deck - Walk to Lake Harmony! Property 8: Bucks Cozy Cabin Adventure! Property 15: Cozy Cottage Life. Private Lot. Free Wifi. Walk to pool, beach, and playground. Property 20: Book Your Summer Escape without a Cleaning Fee! Property 21: GREAT LOCATION ,FREE THURSDAY NIGHT FREE WIFI SERVING OUR CUSTOMERS FOR 28 YRS! Property 26: Get cozy at Big Al's Poconos Creek House - Wireless DSL & Trout!! Property 31: Adorable Cozy Log Cabin - Check out our Spring Special!!! Property 36: Few miles from the slopes !! Book now ! Property 37: Cozy Pocono Lake Cabin in Gated Community w/Pools! Property 42: LAKEFRONT Cabin on a 22+ acres wooded lot. Close to BLUE MOUNTAIN Ski Resort! Property 43: Beautiful Cabin in The Poconos on The Lehigh River! 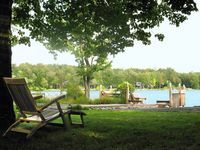 Property 46: Make our beautiful lakefront property your magical home away from home! Property 47: Charming Arrowhead Lake Cottage - Walk to Beach! Property 48: Cozy Pocono Getaway Close to Jack Frost and Big Boulder! We spent the long Easter weekend at this cottage. We had an enjoyable time just doing what we wanted. The cottage was clean and had everything you could want. My son found an old bingo game which we played and had some good laughs. My husband just recently had an accident and was still recovering. He still had difficulty walking or doing stairs. This cottage was great. Everything he needed was on one floor. Although the weather wasn't the greatest (not the owners fault) we were able to spend some time outside on the back deck watching the ducks and other wildlife and enjoying the view!